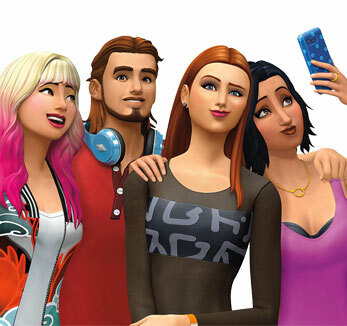 Buy The Sims 4 base game with Expansion, Game, and Stuff Packs to save money on your purchase and get more content for your game, all at the same time. I can't see my CC in CAS and in live mode I cant see my sims or their thoughts. My Sim got sick! Help? Text message from baby - bug or feature? Freelance Writer doesn't save writing progress? My Sims Are Bored! Any Fun Activities? how do you make an object set as a sims head smaller? finding saves from gallery in world? How do you make your household bigger using MC Command Center? How to get a ghost to spawn? Can we post URL's to User Created Custom Content Items? Can I make a new mods folder? if my family dies except my toddler what will happen?